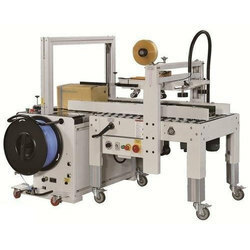 In order to retain our goodwill in this industry, we are providing a latest array of Automatic Carton Sealer. We offer Automatic Carton Sealer with top & bottom drive. The machines have top & bottom tape head for high level of functional accuracy. The tape tension, crank handle, leg height etc., are easily adjustable. 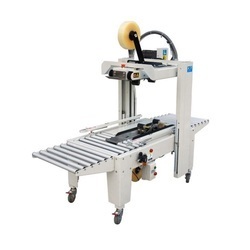 The roller working table, optional and programmable heads, optional controller and electronic controls enhance the functional efficiency and maneuverability of the machine. SP 102 PLS Automatic Packing Line consists of semiautomatic carton sealer, high-table automatic strapping machine and conveying rack. 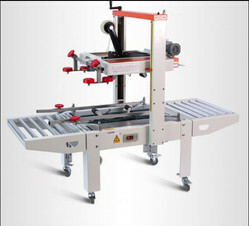 The carton sealer and strapping machine can also be used separately as single unit. SP 102 PLS Automatic Packing Line has the function of continuous auto carton sealing and multi-passes strapping. Ideal for sealing and packing of cartons these are widely used in electrical appliance, foodstuffs, general merchandise, and medicine and in several other industries industry. 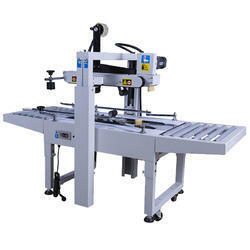 With rich industry experience & knowledge, we have been able to provide the best array of Heavy Duty Carton Sealer. SP 102TU (Heavy Duty ) Carton Sealer fits for continuous sealing of bigger cartons in the different size, which can be operated alone and also can be equipped with the production line. 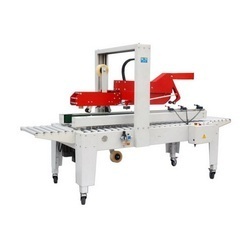 SP 102TU (Heavy Duty) Carton Sealer is widely used for bigger & master cartons in the domestic electrical appliance, foodstuffs, general merchandise, medicine and chemical industry etc. We are known to offer the wide range of Carton Sealer for small and standard cartons. SP 102TU Carton Sealer is widely used for small & Standard cartons in domestic electrical appliance, foodstuffs, general merchandise, medicine and chemical industry etc. As the leading Manufacturer, Service provider, Exporter of Random Carton Sealer Machine, our company Everyday techno solutions. has earned the status of the quality concerned company. The product is extremely durable, has low energy consumption of 220 W, and its packaging speed is 24 m per min. Various tapes that are compatible with this model are BOPP, water free adhesive tape, and PVC adhesive tape. Treating quality as a paramount factor in our business, we have attained utmost satisfaction of valued customers. We follow Stringent Quality Control Measure in our production process to deliver nothing but the best random carton sealer. This machine is ideal for heavier goods. Depending on the size of cartons, the height and width can be adjusted. We have a perfect amalgam of ultra modern machinery and highly competent workforce, being strengthened to manufacture world class sealing equipment. Our advance manufacturing unit is located at Hyderabad. The front , side and rear flap of the carton can be folded automatically and smoothly at high speed. Sp 102TRF Auto flap carton sealer is widely used in domestic electrical appliance, foodstuffs, general merchandise, medicine and chemical industry etc. Looking for Carton Sealer ?